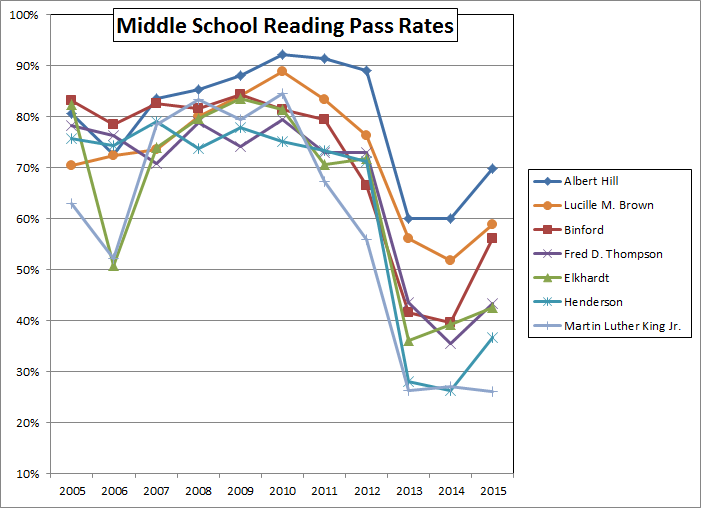 Here are the average reading pass rates, by year, of the Richmond middle schools. 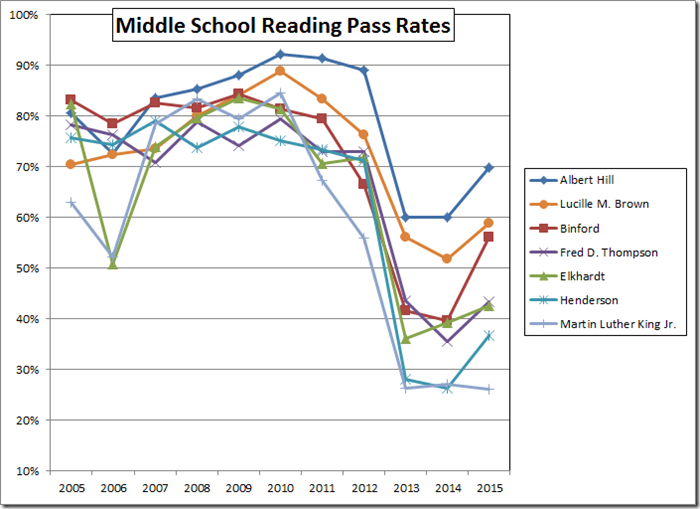 Recalling that the Accreditation Benchmark for reading is 75%, we see our highest scoring middle school five points below that mark. 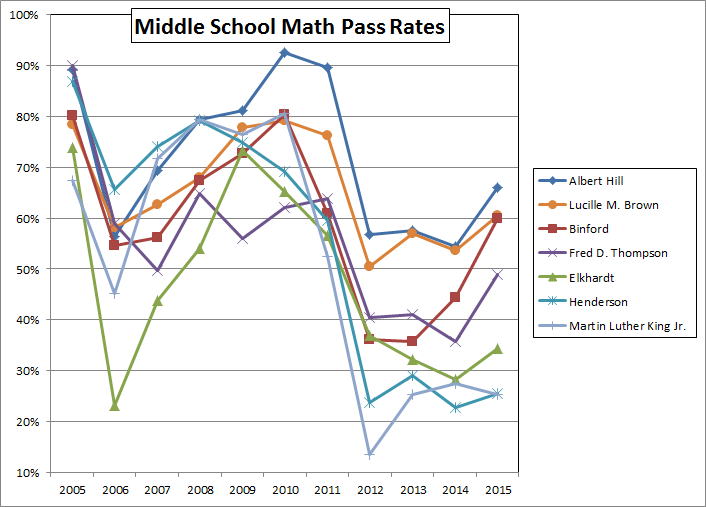 Recalling further that Thompson was the only Richmond school denied accreditation last year, and noticing that Thompson almost looks good in comparison to King and Henderson, we see further evidence of VDOE’s wholesale cooking of the accreditation data. 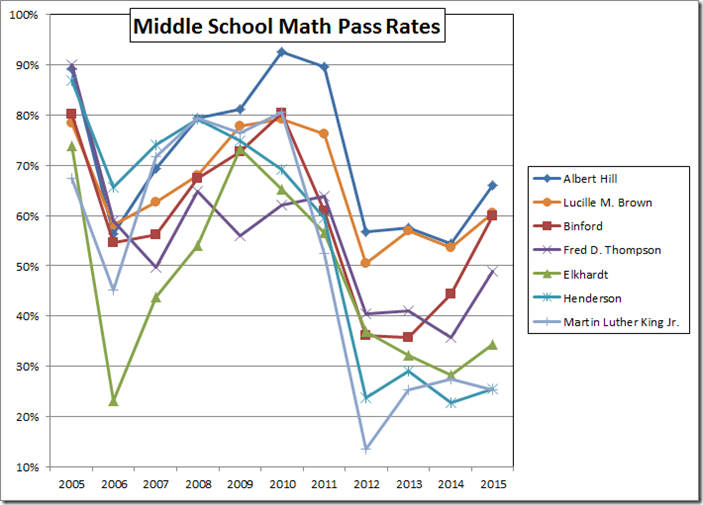 The math data paint a similar picture. The Accreditation Benchmark here is 70% and only Hill comes even close. Note also that the “accreditation denied” Thompson has whipped the “accredited with warning” Elkhardt, Henderson, and King for all four years of the new math tests. It should be a crime to subject any child to any of these schools. It is an embarrassment.